Motorcycles have become critical public health tools in remote areas of the developing world. Much of CAUSE Canada’s most important work is done on motorcycles which allow emergency assistance to reach rural areas quickly and inexpensively. 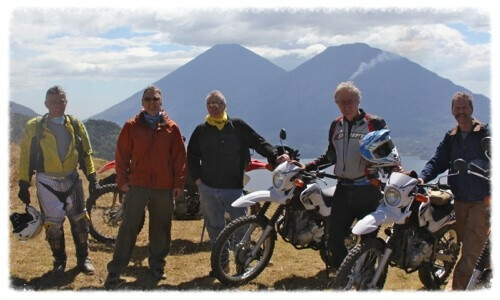 CAUSE Canada has worked in Guatemala since 1984 and Sierra Leone since 1988 and utilizes dual purpose motorcycles in most of its overseas programs. 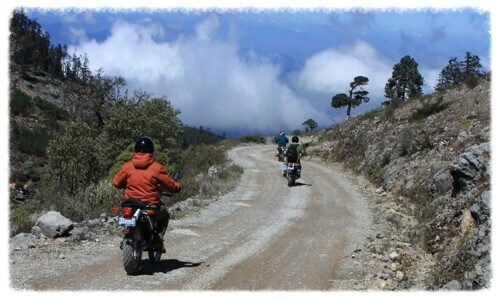 CAUSE Canada organizes motorcycle tours of Sierra Leone or Guatemala for small groups of adventurous philanthropists. Thus far CAUSE Canada has conducted two tours of Sierra Leone and one of Guatemala, and all of these trips went extremely well. On each occasion the participants covered over 1,600 kilometers through rarely visited regions. These trips can occur twice annually and last about 12 days in early November and late April. Trips are organized according to demand. The approximate cost is $8,000 (excluding airfare), however, each participant receives a tax receipt for $6,500. 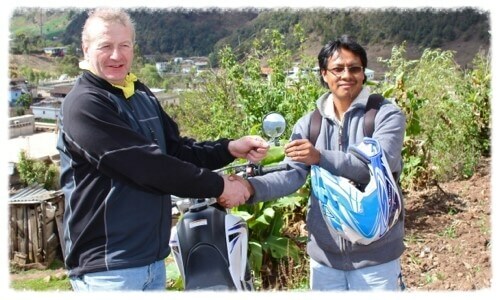 The majority of this cost is used to purchase a motorcycle for one of our overseas staff. This all-inclusive romp through the wilds will have CAUSE Canada paying for all of the gas, food, hotels and motorcycle expenses. Each participant will be assigned a new motorcycle for the duration of the tour and at the end of the trip the Canadian rider will present the bike to one of CAUSE Canada’s dedicated workers. 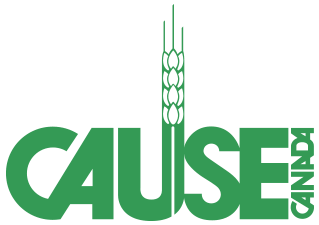 If this alternative means of seeing the world and supporting poverty reduction work interests you – please make application to join CAUSE Canada’s company of philanthropic adventures.